"Dear Mark: My daughter is asking to extend her curfew. It seems she can fight whatever. Would you please help me and let me have a strategy to have the curfew settle down. Thanks & Best Regards! F."
1. Practice Negotiation. It can be tempting--and easy--to create hard-and-fast rules about curfews, but most parenting experts agree that times that teens must be home should be worked out by parents and teens together.“Where are you going to be? How long? Is that enough time? Can you get home by then? Will you let us know if it’s a problem?” Asking these types of questions sets up a pattern of negotiation between parents and child that allows the child to be honest. Such questions also show that your main concern is the child’s safety—that Mom and Dad are not, as teens are quick to believe, merely control freaks. 2. Focus on Schedules. 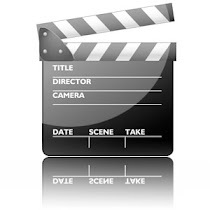 We do best if we keep schedules and curfews flexible, depending on the child and the event. 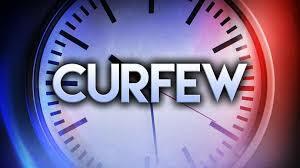 Discussing curfews as you talk about overall schedules will take the focus off of “curfew” and put it on the type of activity, safety concerns, and responsibility issues. 3. Emphasize Safety. Helping our children understand that schedules are set up for safety can help them see curfews not as restrictive whims, but as practical matters. One family decided the “rules” regarding times to be home would be about knowing where all family members were at all times. This included children knowing where parents were as well. Have your sons or daughters leave a list of numbers where they will be and then let them know that you will be setting your alarm for the time they are expected home. You trust them, so it is no problem to go to sleep when they are out; however, should that alarm wake you and they haven’t called to let you know they will be home later, then you know something is wrong and you will start calling everyone on that list, ending with the police. However, if they are home on time, they can simply slip into your room and turn the alarm off before it wakes you. Create a relationship of trust by letting your children know that an important aspect of a curfew is for them to follow through on their promises. This is a different focus than “I don’t trust what you’ll be doing” or “I don’t trust your friends.” The reason for having a set time for coming home becomes more about the children showing you they are responsible and trustworthy. Try to be organized and reliable with your own time to show your teen that you are serious about schedules and take other people’s time seriously. We’re often most effective when we simply let our teens know what our concerns are. For example, when our teen comes home late, we could say, ‘I hope this doesn’t happen again because I think it stresses our relationship. And you’re way ahead if our relationship is good. I think that when you do things that stress me out a lot, it doesn’t work out well for you in the long run’. Handling curfews as part of the overall scheduling you do in a week helps your child have the opportunity to be responsible. Negotiation between parent and child is important and can create a sense of trust between parent and child in ways that strict one-way rules usually do not.